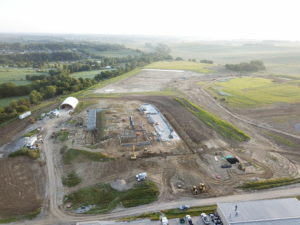 Earlier this year we were excited to learn that we were awarded the contract for the brand new Gretna Public Works facility. 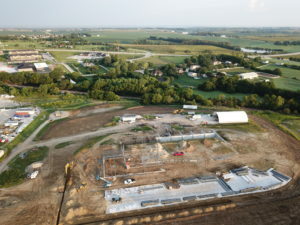 We broke ground on the project located at 20090 Husker Drive, north of the water tower and fire station in Gretna and have been busy with the foundation, paving and steel erection at the facility. 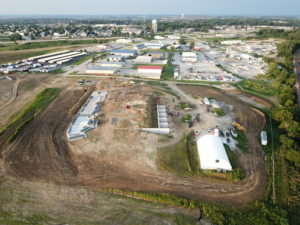 The 38,000 square foot facility will allow the City of Gretna to consolidate all Public Works vehicles and equipment in one facility. 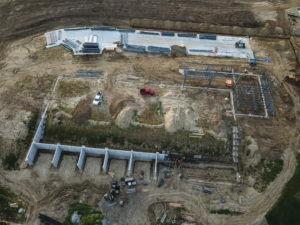 Here are some images of the progress – check back for more updates!